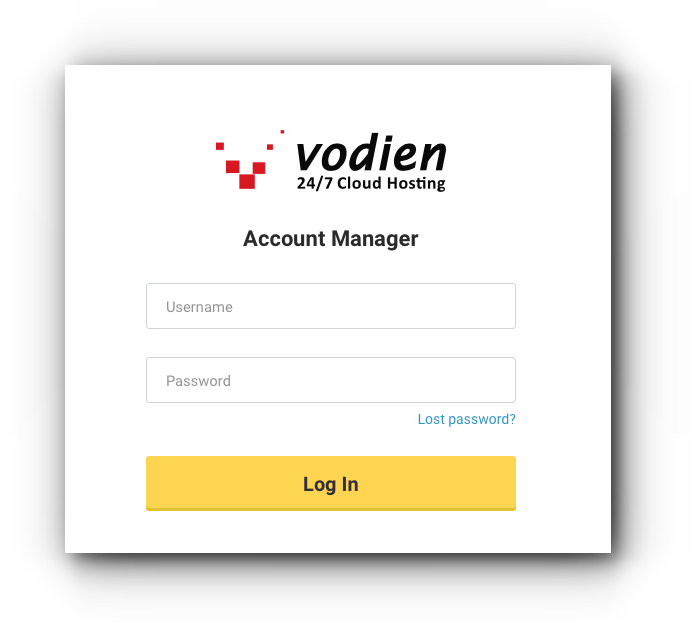 If you would like to update your domain registrant contact details or WHOIS information, you may edit it through Account Manager. 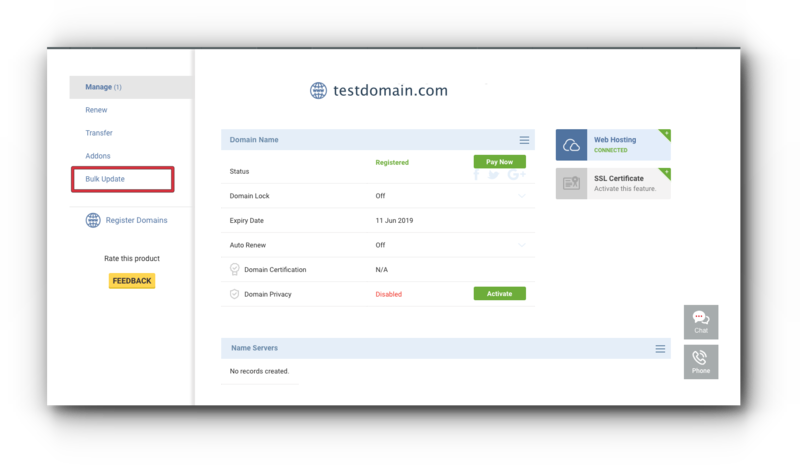 Note: When you change the Domain WHOIS Information for ‘com’, ‘net’, ‘info’, ‘org’, ‘biz’, ‘co’, and ‘asia’ TLDs, an email will be sent to the CURRENT and NEW Domain Registrants Email Address to verify the changes and both users must approve it. Step 3. Click “Bulk Update”. Step 4. Tick the checkbox of the domain name you want to edit. Step 5. 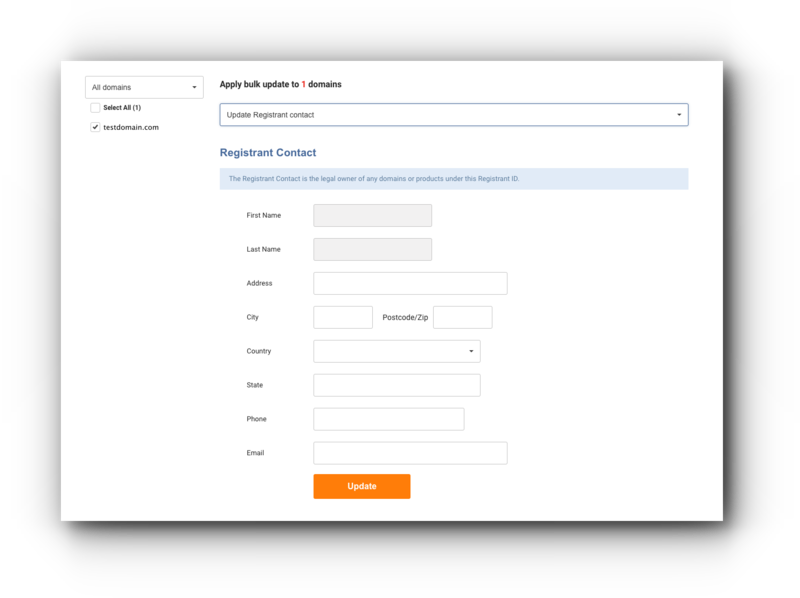 From the Apply bulk update drop-down menu, select Update Registrant contact. Step 6. Enter the Domain Registrant Contact details.